Chef and restaurateur José Andrés is scheduled to bring a brick-and-mortar location of his Spanish sandwich food truck concept Pepe to Disney Springs at the Walt Disney Resort in Florida, the company said Thursday. Andrés is planning to open Pepe — which will be attached to the upcoming sixth location of his casual-dining concept Jaleo — in Disney Springs later this winter. While the Disney location of Jaleo will reflect the familiar tapas, paella, and sangria of the brand, Pepe will introduce tourists to authentic Spanish sandwiches, including bocatas, made with Spanish bread, and bikinis, a thin ham-and-cheese sandwich. 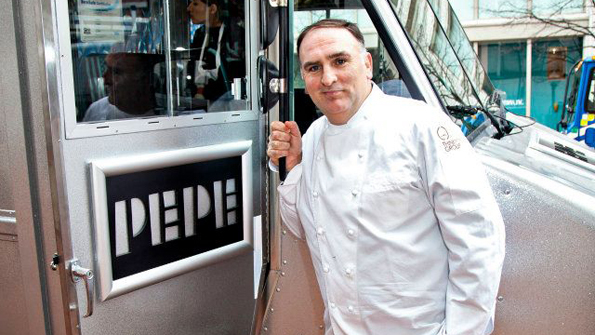 José Andrés's food truck, Pepe, quickly attracted lines of fans. Pepe will have both grab-and-go and sit-down formats, with sandwich options like Pollo Frito, made with breaded chicken breast, aioli, bravas sauce, piparra peppers, gem lettuce, and sherry dressing; and Serrano y Manchego, served on crispy pan de cristal (similar to ciabatta) with tomato fresco. The menu will also include salads, soups, side dishes, and sangria. 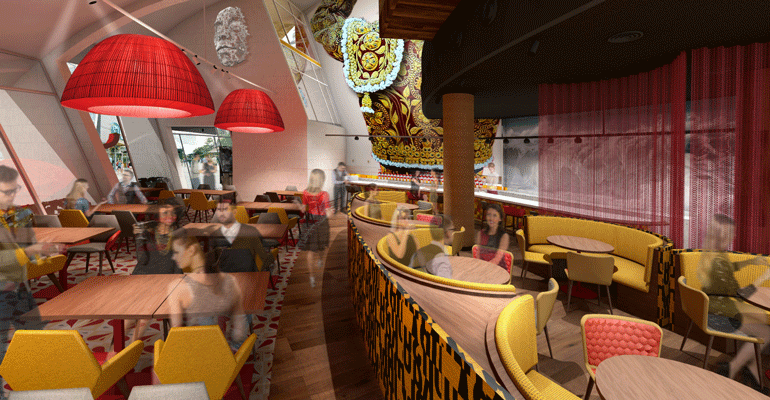 Pepe’s atmosphere will be casual, accented by a large mural created by Marc Jesús, a Menorcan painter. The attached Jaleo restaurant, meanwhile, will be 22,000-square feet —Andrés’ largest to-date — and feature two floors with a central courtyard, as well as some private dining spaces. Andrés is just one of many celebrity chefs opening restaurants at the newly revamped shopping-and-dining district in Lake Buena Vista, Fla., which was previously known as Downtown Disney. Other restaurants in Disney Springs include Masaharu Morimoto’s Morimoto Asia; Rick Bayless’ Frontera; Tony Mantuano’s Terralina Crafted Italian; Art Smith’s Homecomin’Florida Kitchen; Guy Fieri’s Chicken Guy! ; and Wolfgang Puck’s Wolfgang Puck Bar & Grill.